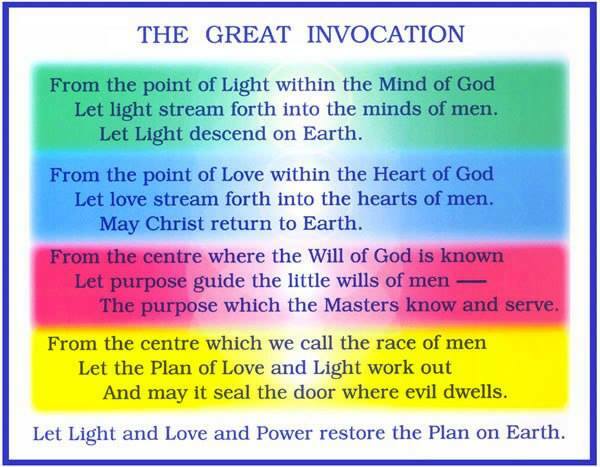 Please submit your prayer into the Violet Flame, the Universe, the Saints and the Angels by typing it in below, and Rev. Rea, along with hundreds of people like you who visit this page, pray for these requests. This "bowl" will get daily prayers and blessings in the name of your specific prayer. Prayer works! Believe. Have Faith. Trust. Scroll past the prayers needed to see prayers to do on your own. Especially helpful is the Novena to St. Jude, although all the prayers here are very helpful. 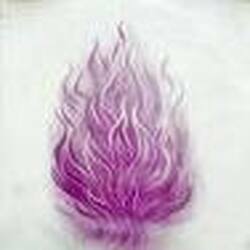 Through St. Germain, the sacred violet fire transmutes and heals all negative energies and/or entities that may have attached to us. We call upon God, Christ Jesus, and Archangel Raphael to heal and to answer all these prayers, to intervene for genuine blessings and miracles. We ask this in the name of Jesua Amen. When we pray to God, we are also including the Angels because they are part of God. Whenever we reach out to the Divine, our Creator, God, or Jesus, Saints, Archangels and Cosmic Angels we are contacting Heaven for assistance. They are all emissaries of God. With their help, we make contact with the higher realms and guidance from Source. Archangel Raphael is the healing angel so you can call on this angel for healing, as well as Jesus. We call upon all the love and prayers from all who read this to pour forth on to the prayers on these pages. "Dear God, Bless them all, bring them miracles, healings and answers to all these prayers, in the name of Jesus Christ we pray, Amen." And now may the peace of God, which passeth all understanding, keep your hearts and minds through Christ Jesus. 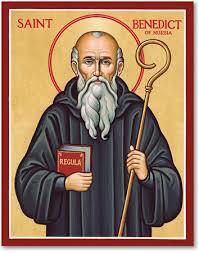 If you are dealing with a seemingly insurmountable problem or pain and need immediate help please pray to St. Jude. Most holy Apostle, St. Jude, faithful servant and friend of Jesus, the Church honors and invokes you universally, as the patron of difficult cases, of things almost despaired of, Pray for me, I am so helpless and alone.Intercede with God for me that He bring visible and speedy help where help is almost despaired of. Come to my assistance in this great need that I may receive the consolation and help of heaven in all my necessities, tribulations, and sufferings, particularly - FILL IN YOUR REQUEST HERE - and that I may praise God with you and all the saints forever. I promise, O Blessed St. Jude, to be ever mindful of this great favor granted me by God and to always honor you as my special and powerful patron, and to gratefully encourage devotion to you. Our Father who art in heaven, hallowed be thy name. Thy kingdom come, thy will be done, on earth as it is in heaven. Give us this day our daily bread and forgive us our trespasses as we forgive those who trespass against us. And lead us not into temptation but deliver us from evil. For thine is the kingdom and the power and the glory forever. Amen. Hail Mary full of Grace, the Lord is with thee. Blessed are thou amongst women and blessed is the fruit of thy womb Jesus. Holy Mary Mother of God, pray for us sinners now and at the hour of our death Amen. When your prayer is answered it is customary to thank him for prayers answered by reporting to the world in whatever fashion you choose (why you see ads in the newspaper that say Thank you St. Jude for prayers answered). Thank you St. Jude for prayers answered! I want to say thank you to saint Jude. Holy Patroness of those in need, Saint Rita, so humble, pure and patient, whose pleadings with thy Divine Spouse are irresistible, obtain for me from thy Crucified Christ my request (mention it here). Be kind to me, for the greater glory of God, and I promise to honor thee and to sing thy praises forever. Please email Rev. Rea to record if you had a prayer answered. I confidently beseech You to grant me the grace of (here state your petition). Glory be to the Father… (three times). Amen. Below is the prayer that St. Pio himself used when others asked him to pray for them. O my Jesus, You have said: “Truly I say to you, ask and you will receive, seek and you will find, knock and it will be opened to you.” Behold I knock, I seek and ask for the grace of (here name your request). Our Father … Hail Mary … Glory Be … Sacred Heart of Jesus, I place all my trust in You. O my Jesus, You have said: “Truly I say to you, if you ask anything of the Father in My name, He will give it to you.” Behold, in Your name, I ask the Father for the grace of (here name your request). Our Father … Hail Mary … Glory Be … Sacred Heart of Jesus, I place all my trust in You. O my Jesus, You have said: “Truly I say to you, heaven and earth will pass away but My words will not pass away.” Encouraged by Your infallible words I now ask for the grace of (here name your request). Our Father … Hail Mary … Glory Be … Sacred Heart of Jesus, I place all my trust in You. St. Pio pray for us and hear our prayers. Amen. Blessed be St. Padre Pio, in all the world and for all Eternity. 02-23-18 Dear St. Padre Pio, I must publicly thank you for answering my prayers! Through the cross of Jesus Christ, I ask you to please intercede that God might protect me, my loved ones, my home, property, possessions, and workplace today and always by your holy blessing, that we may never be separated from Jesus, Mary, and the company of all the blessed. Through your intercession may we be delivered from temptation, spiritual oppression, physical ills, and disease. Protect us from drug and alcohol abuse, impurity and immorality, objectionable companions, and negative attitudes. In Jesus' Name. Amen. May I also recommend the 91st Psalm. This prayer has helped millions in dire and urgent need. For heightened feeling listen to the original Lord's Prayer, spoken similarly to the way it would have been done during the time of Jesus; spoken as well as sung. Rev. Rea understands that in times of grief or strain and panic, that we sometimes need someone whom we can pray with. Prayer is much more powerful when "two or more are gathered." A prayer session with Rev. Rea involves, of course praying out loud and silently, together, invoking Divine help and assistance. She believes in the power of Jesus in healing work and miracles, along with angels and saints. Simply contact RevRea to arrange how and where to have your prayers, i.e., hospital room*, home, etc. Sometimes we just need someone to pray with! If this site has helped you spiritually, we would thank You to "pay it forward" by making a Love Offering/Tithing/Donation to an animal rescue charity such as the Humane Society, ASPCA and the Animal Rescue site.